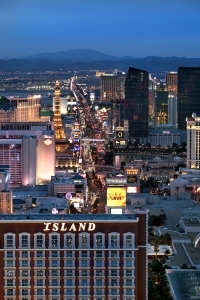 Las Vegas is in Nevada and known as "The Las Vegas Vally", or the most popular area "The Las Vegas Strip"
Las Vegas lies in the Mojave Desert and has a subtropical desert climate. 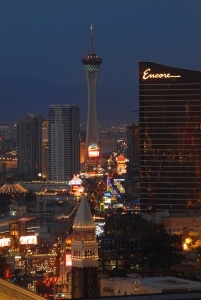 Temperatures in summer months are often over 100 degrees F and night around 70 degrees F. As such Las Vegas enjoys sunshine almost all year round with an average of 300 sunny days per year. 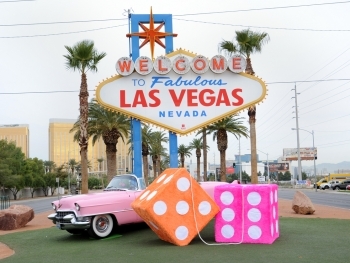 Winter is short with daytime temperatures around 60 degrees F and night down to 40 degrees F.
Casinos are the main attraction to Las Vegas and is a gambler's dream. Las Vegas attracts gamblers from all over the world and anyone who enjoys a flutter would definitely have this on their bucket list. A great place to visit with the family and escape the casino life. There are over 150 species of animal and plant life to see. Therefore there are some things you need to know. It's best to not bring personal electronic items into the casino, and you can't use a cell phone while seated at a casino game. You cannot bring a cell phone or pager into the sports book section of the casinos. All players must be at least 21 years old - no exceptions. Always carry a bottle of water, the climate here is very hot and dry and very easy to dehydrate. Be sure to use sunscreen whenever you are outside. 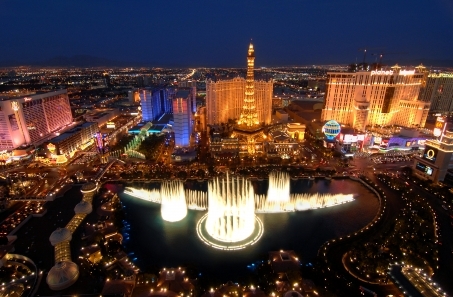 The high-concentration areas of Las Vegas are among the safest places for visitors in the world. Security is tight, but that doesn't mean you shouldn't take the same precautions that you would at home. Be aware of your surroundings and stay away from threatening situations. If gaming, keep an eye on your purse, change bucket or chips. If there is an incident, police and security personnel are generally highly visible. Generally speaking, smoking is permitted on the casino floor at most resorts, in some guest rooms and in bars that don't serve food. It is not permitted in public areas such as restaurants, hotel lobbies, the Las Vegas Convention Center concourse areas, or Mc Carran International Airport. Casinos are open 24hrs every day and every type of game that you can imagine can be played in Las Vegas. 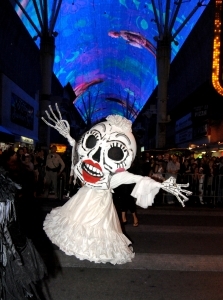 Many casinos offer shows with international artists to attract the tourists. Watch sports action on big screens or try your hand at the slot machines or poker machines. Once a by product of the casino, they are now more popular than ever and the noise of the winning bells never stops. Many casinos offer lessons to teach the rules prior to hitting the tables.